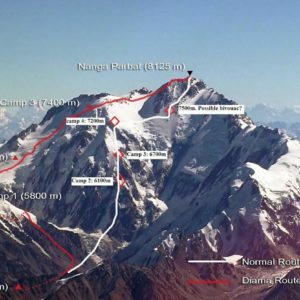 Summer climbing action is slowly kicking in, as first summit push of the season has been launched on Nanga Parbat. Summer climbing action is slowly kicking in, as first summit push of the season has been launched on Nanga Parbat. Yannick Graziani, Ferran Latorre and Hélias Millerioux arrived at C2 (6700m) yesterday, and are expecting to summit in next couple of days. 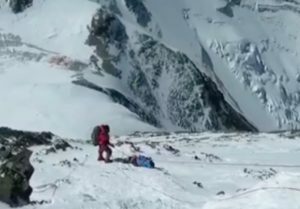 Struggle to reach C3 on K2 continues, whereas Broad Peak and Gasherbrum climbers are still acclimatizing and fixing lower sections of the mountains. 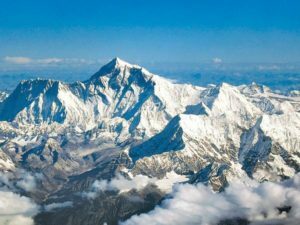 The international team, trying to complete the unfinished route on North Face of mountain first attempted by Reinhold Messner, Hubert Messner, Hanspeter Eisendle and Wolfgang Tomaseth in summer 2000 and later tried by multiple expeditions in winter, have launched the summit push. 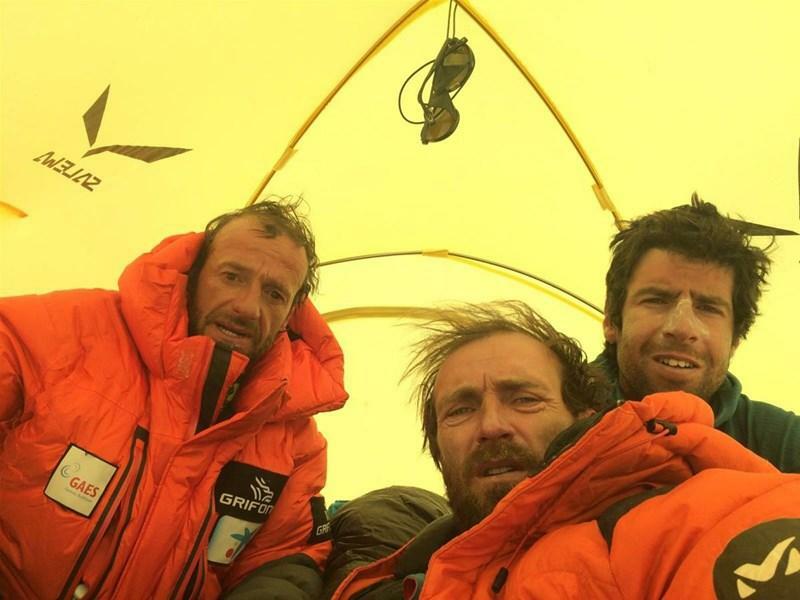 Yannick Graziani, Ferran Latorre and Hélias Millerioux left BC two days ago, and are currently in C2 (6700m) after spending a night in C1 (5800m). 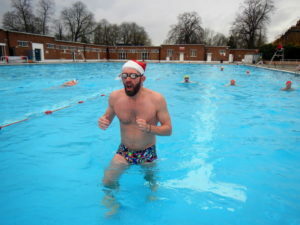 Fourth member of team Tom Seidensticker had to quit the expedition, last week. Yannick, Hélias and Ferran’s plan is to set up C3 at around 7400m tomorrow and launch the final push from there. The climbers will follow a spur that leads to Bazhin Basin. From there, the trio will decide the route to summit depending upon conditions; “a day of great unknowns,” commented Ferran Latorre. The team acclimatized to 7000m on this route and skied down to BC, at the end of June. Considering length of route and snow conditions, using skis is an important part of team’s strategy. 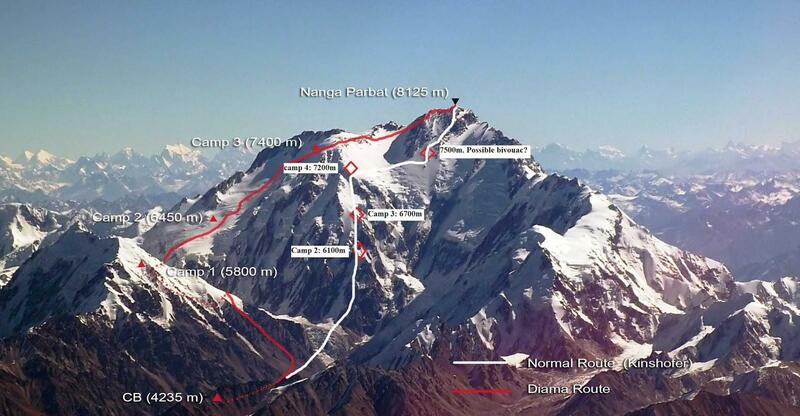 Meanwhile, progress on Nanga Parbat’s normal (Kinshofer) route is particularly slow. Spaniards Pepe Saldaña and Fernando Fernández Vivancos were first to reach the mountain this year, but lacked resources to fix the route between C1 and C2. Now, with the arrival of resourceful Korean expedition and Chinese-Korean team and strong climbers like Boyan Petrov and Ivan Tomov, the progress is expected to pace up. The conditions above 5300m (on Kinshofer route) are said to be “icy frozen”. Mountain Professionals arrived at C2 (6300m), a couple of days ago, while international team led by Oscar Cadiach have stocked and acclimatized till C1 (5600m). 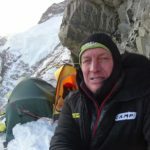 There are just a handful of climbers on Broad Peak, this year. The mountain is, however, said to be in good condition. 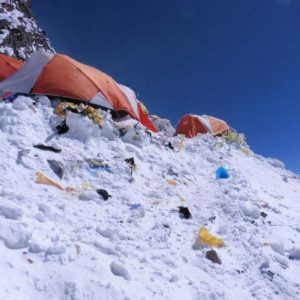 Polish GI-GII traverse team met a little setback as one member suffered injuries. “July 5th at 4 am, Bielejec, Stasiak, Wolski went up for a walk! Unfortunately, after about 40 minutes, a snow bridge under Krzysztof fell into a 10m gap. 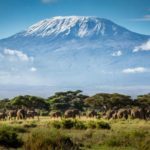 He deep cut his chin, damaged knee and worse, hurt his ankle.” The team is currently in BC, waiting for an improvement in weather to resume acclimatization. Spanish traverse/new route team of Alberto Iñurrategi, Juan Vallejo and Mikel Zabalza reached 6400m on GI during first acclimatization rotation. They also studied the options for their final objective – a GI/GII traverse and/or new route. After a bad weather break, the trio will resume acclimatization today. Bad weather on K2 has halted the rope fixing process since a while. 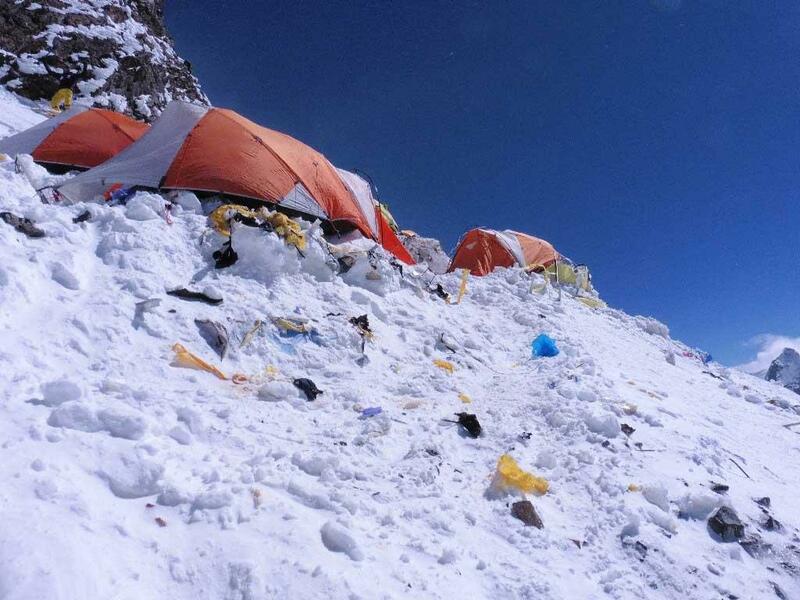 Sherpa tried to push on from C2 to C3 few days ago, but strong wind forced them to turn back. Climbers have been making acclimatization trips to C2 (sometimes cut short to C1 only) this week. There are also reports of wind damaging some of the tents at Camp 2. All in all, things have been running smoothly, thus far, with a lot of people on the mountain and quite a few departures due to medical reasons.